This April 2017, I was able to experience the beauty and serenity of Mono Lake, a basin east of Yosemite on the California/Nevada border. This lake, and millions of animals that inhabit it, would no longer exist if it wasn’t for the hard work and dedication exhibited by a few compassionate students and a professor just a couple decades ago. 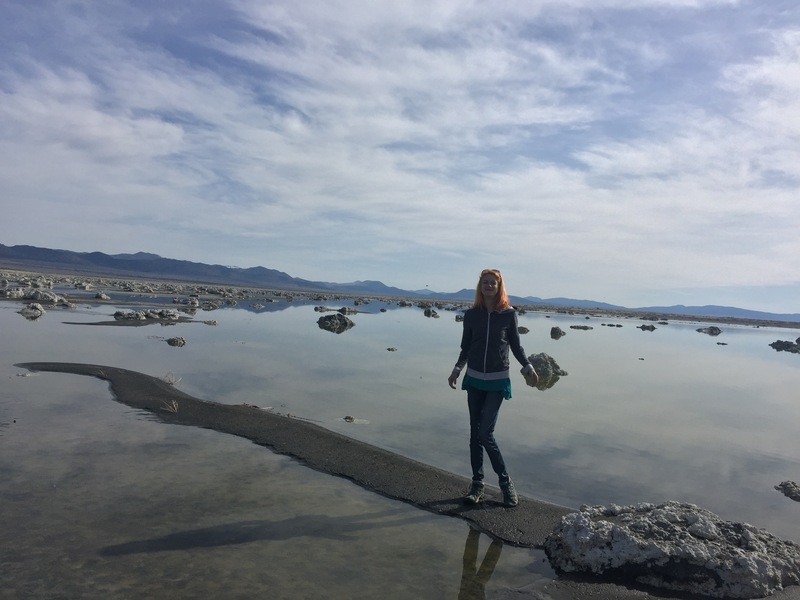 On my adventure to Mono Lake, California I was able to experience the beauty of the lake, the unique structures of the tufa flats, and learn about their unique ecosystem and how it was almost entirely lost to a water-hungry city located over 300 miles away. April was not a popular month to visit the lake, but it was the birthday trip I wanted and I was going no matter what. Canoe tours were not an option, as the California gulls were using the island in the center of the lake as a nesting ground and were not to be disturbed. According to our guide, over 90% of all California gulls up and down the west coast migrate to Mono Lake to nest and breed. In fact, according to Monolake.org, Mono Lake plays an imperative role for many species of birds that use it for feeding, nesting, and breeding, “Aerial surveys have revealed 1.5-1.8 million birds on the lake in the fall– comprising a large portion of North America’s population!” (Monolake.org). 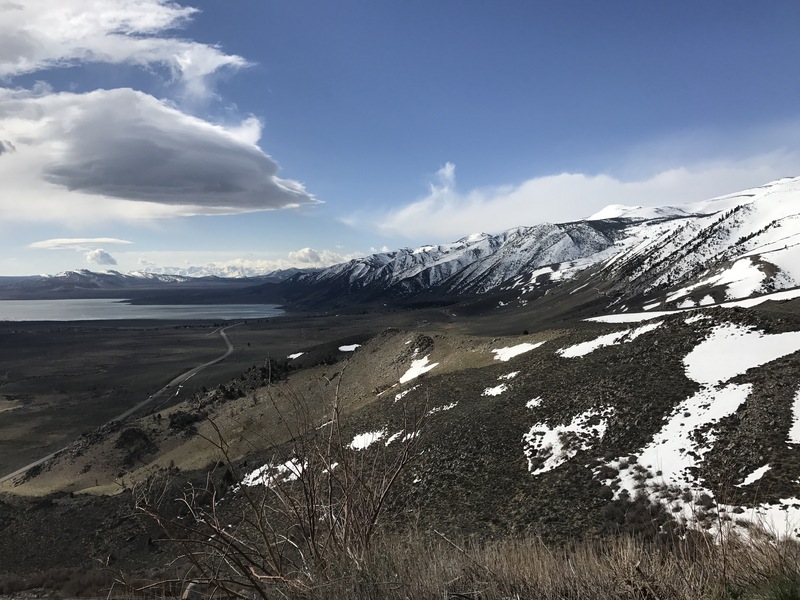 Mono Lake is so vital to so many bird populations; it is now designated as an official part of the Western Hemisphere Reserve Network (WHSRN), which indicates a specific area as being a critical migratory bird habitat. There are a myriad of reasons as to why Mono Lake in particular is so imperative to California and numerous species that utilize its unique features. It starts with the very structure of the lake itself. Almost three times saltier than our Pacific ocean, with a pH of 10, the lake water has many similar ingredients found in standard laundry detergent, like sodium bicarbonate, which make up the beautiful, dissolving tufa structures lining several areas of the shore.2 The lake itself is so salty it can only host a limited number of salt-loving species, like the brine shrimp and brine fly. The brine fly and shrimp feed the millions of birds that accumulate around the lake and without them, Mono Lake would not be able to host the 300+ bird species it supports. Reducing this food supply would not only effect the Mono Lake ecosystem, but ecosystems thousands of miles away, as birds like the Red-necked Phalaropes migrate over 3,000 miles to South America, only using Mono Lake as a feeding stop.3 Limiting their ability to accumulate body mass by feeding on brine flies might jeopardize their ability to travel such long distances, doing untold damage to the other ecosystems they make up. This complex but naturally sustainable food web was nearly destroyed when cities hundreds of miles away began diverting the rivers and streams that fed the Mono Lake basin for their own needs, industrial, residential and commercial. According to the Mono Basin Research organization, by the early 1980s, Mono Lake dropped to 6,379 feet above sea level, a 45-foot decrease.4 This doubled the salinity level of the lake, increased the temperature of the lake itself, and tested the range of tolerance of nearly every species that inhabited Mono Lake. The many bird species using the island to nest lost their protection as the waters became shallow and predators could now walk to the island. The brine shrimp and fly populations depleted, so the birds lost their food source as well. Finally, action was taken. After an 11-year legal battle would finally conclude, ruling in Mono Lake’s favor. According to Mono Lake Research, “Decision 1631 held that Los Angeles would not be able to divert any water from the creeks at lake levels below 6,377 feet” (Monobasinresearch.org). 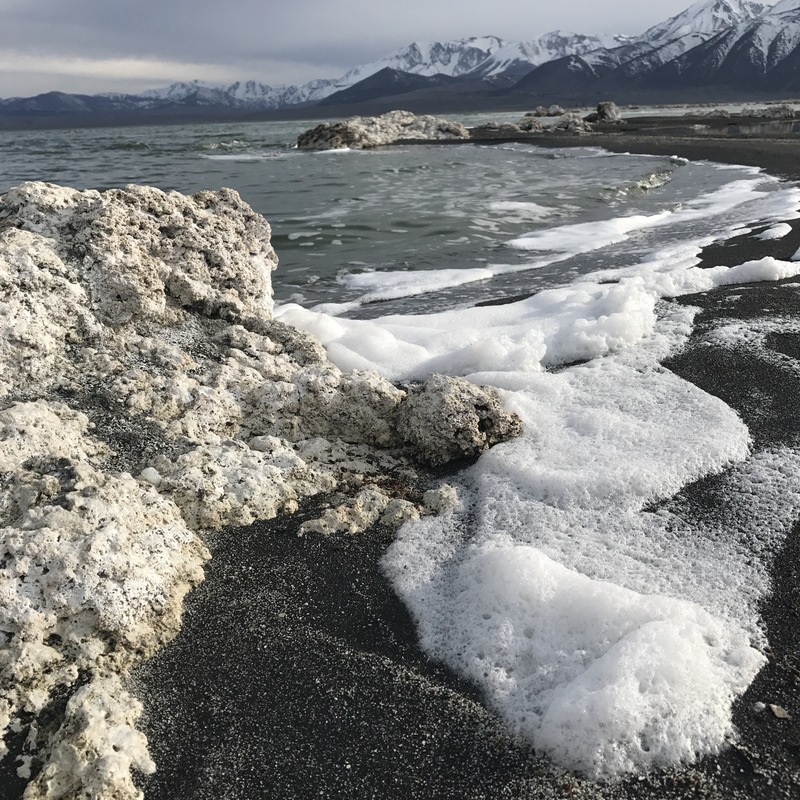 By mitigating a water level that was sustainable to the lake’s ecosystems, Mono Lake would be able to once again begin to support the many niches that make up its previously healthy ecosystem. 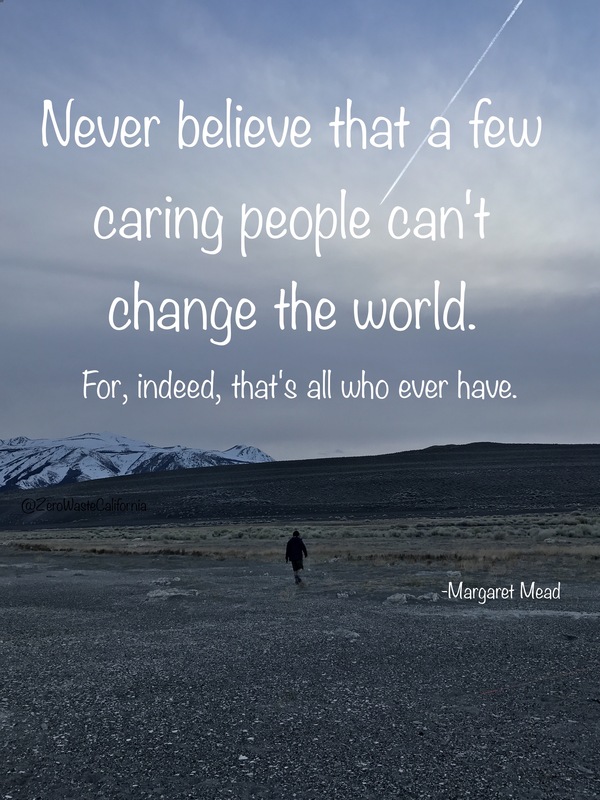 This was evident to me when I was able to witness the incredible numbers of bird populations flying overhead, as well as the brine flies that virtually repel themselves from human contact. 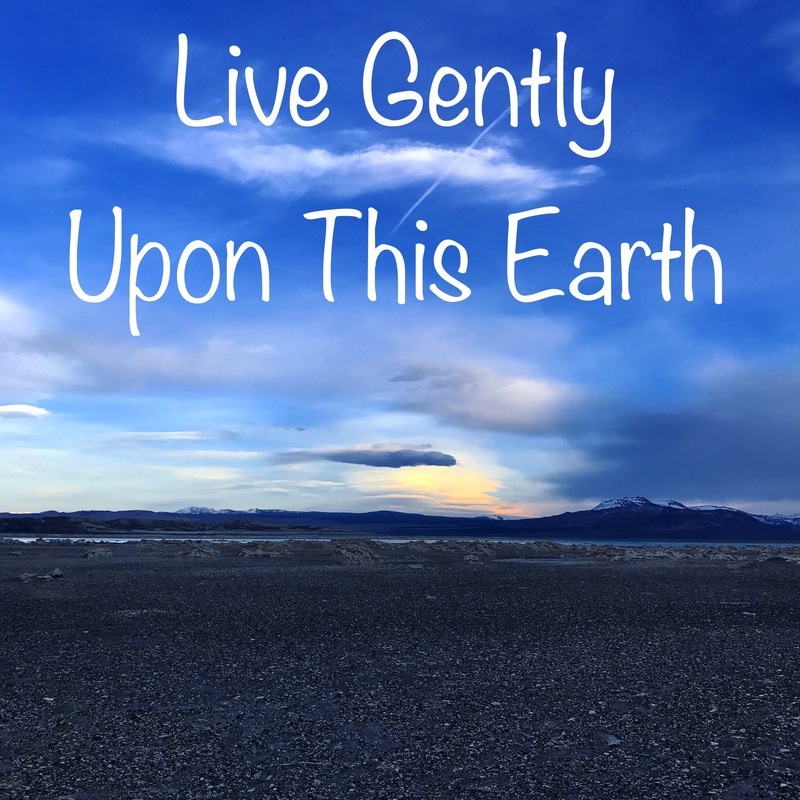 Having watched several videos on Mono Lake, I was anticipating beauty. I had no idea how desolate the area would be away from the town and tour. Camping over night was a very memorable experience. With no shade, the afternoon was oppressively hot, but as soon as sun set, the wind picked up. In our arctic weather tent and sleeping bags, we were still quite chilly. The wind was so loud it sounded like someone was slapping our tent with paddles. As daylight broke, the wind died down again. However, the lack of people was bittersweet. Before this class, I had never even heard of Mono Lake, never mind its history or captivating beauty. As important as these tours are, maintaining this area in a pristine fashion would be nearly impossible with an influx of tourists. Promoting this lake as an area that needs to be preserved is key for its survival, which would require funding. Currently, the external costs of water diversions do not match the price of tap water and if we were to include them, perhaps then we would see a bigger movement toward sustainable practices. Mono Basin Clearinghouse: Building a Digital Library for Better Resource Management. Mono Lake Committee, 2017. http://monobasinresearch.org. 1 May 2017. Mono Lake. N.p., 2017. http://monolake.org. 29 April 2017.